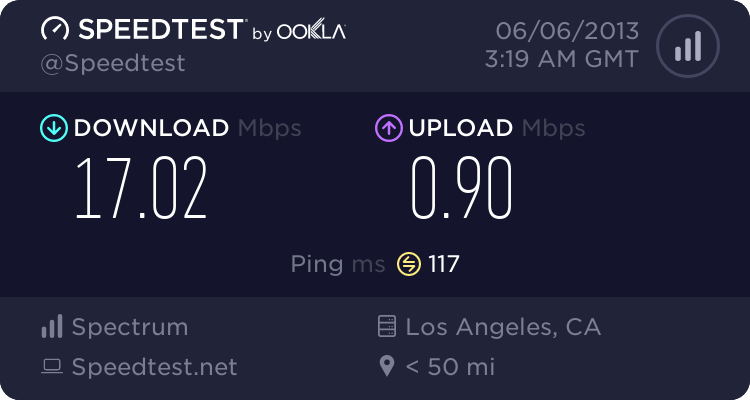 I have XO Communications in Los Angeles, have 100Mbps service supposedly have 21kbps upload speed, yes that is right 21 kilobytes per second and 4.4Mbps download. Want to talk about BAD. I have tried to run some tests, proxy Speedtest.net through a webserver, I tried two different web servers. Speedtest.net actively tried to deny them because (atleast one of them) had no location or ISP tied to the IP. INstead of the test map on the front page it had 4 different links, and no way to test. 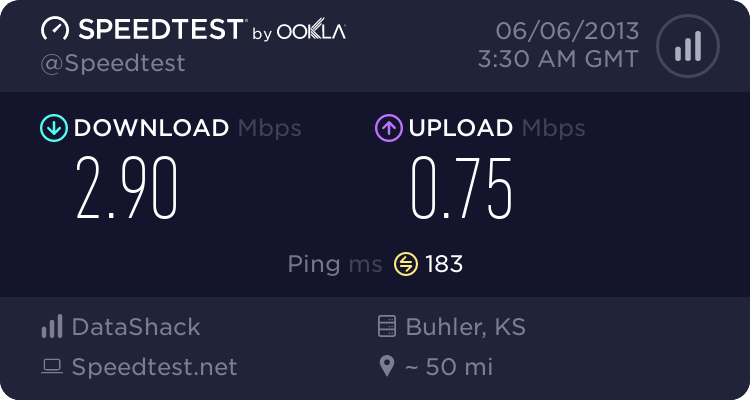 Using a different testing service I got less then paid for speeds. I am going to use your idea and force them to understand that I am smarter then they think. With the speedtest-cli you can manually get a list of Speedtest servers and pick one, so that they don't have to automatically figure out the best location for you. It might help in that case. 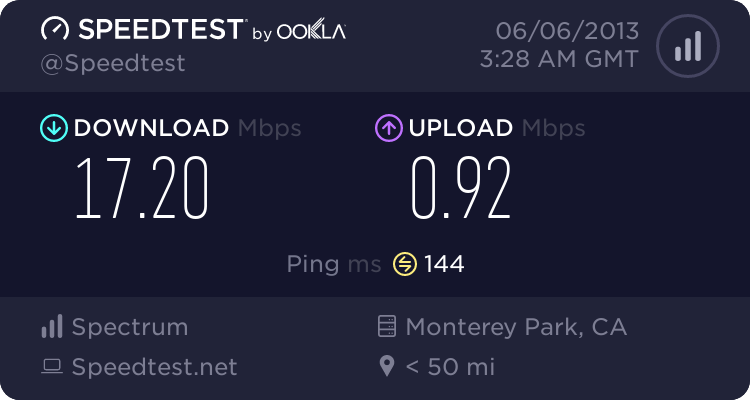 Upon connecting using a proxy, speedtest.net only displays the top bar, which before it only displayed 4 options instead of the test map. "I feel safe using it"
You might want to read up on proxies ... been found almost (but not quite) as exploitable as PPTP, and I'm talking thieves and road-agents not the NSA, (the nsa) can get inside your PC before you even hit the OpenVPN switch. 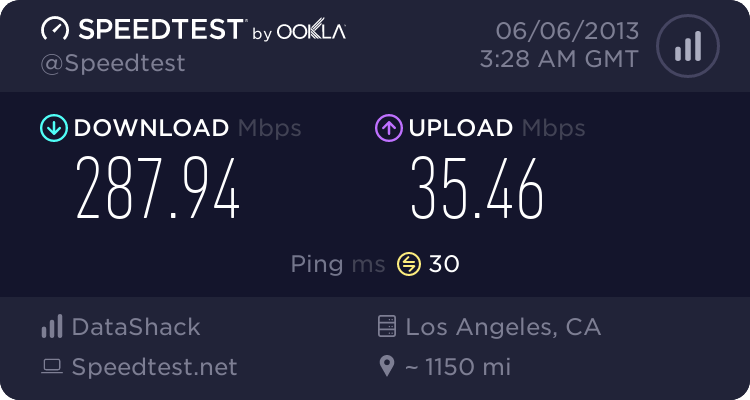 Test your Internet speed with our powerful DSL Speed Test Tools. 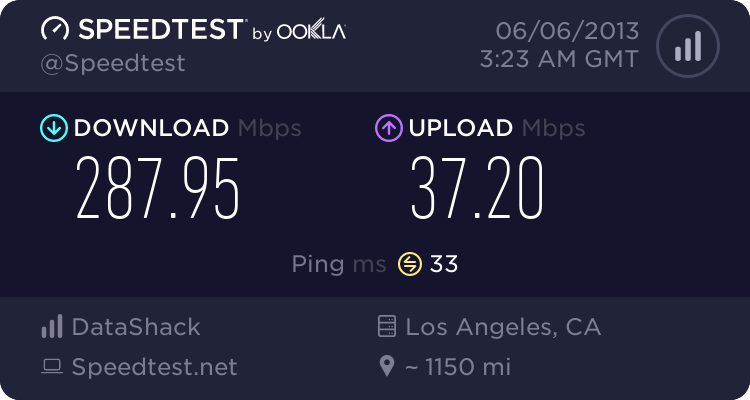 Check your internet DSL speed with accurate upload and download speed test results. I suggest you to check for online reviews.